Hitting back to the critical members of the clergy, President Rodrigo Duterte cited the principle of the Church and State’s separation while urging religious leaders to hover on neutral zone and especially refrain from using God’s name in vain while denouncing his words, or otherwise face reprisal. 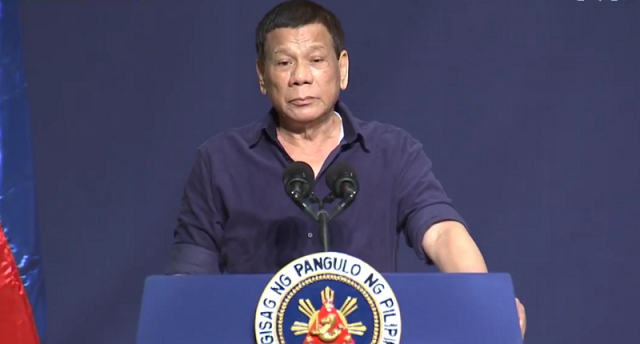 In a statement during the Inauguration of Malayan Colleges in Davao City last Saturday, the President remarked, "When you criticize me, criticize me with all the heart's content. Do it. I'm even asking you to do it so I will know whether you are displeased or not with my performance. Do it." "But when you are a religious, you have to be something of a neutral when it comes to your faith and even when it comes to government because it is really the concept of a republican system that there is a separation of church and state," the President added while inferring that one ‘s faith that is rooted merely from ‘God’ as an object of praise and worship, regardless of religion, to never integrate such conviction to politics. One that recognizes the essence of ‘spiritual dimension’ from among the citizens is the 1987 Constitution even obligating educational institutions to "teach the rights and duties of citizenship, strengthen ethical and spiritual values, develop moral character and personal discipline” – which motivated some catholic priests and lawyers of the Church’s moral dimension capable of standing up against social ills. 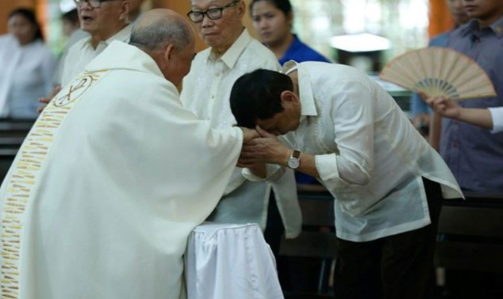 Hence, President Duterte reminded the critical religious leaders that the principle of separation of Church and State was ‘fundamental’ and ‘almost basic’. “So when you criticize me, do not use the platform of God – that God will send you to hell, that God will never forgive you, hell is waiting for you. Do not do it. 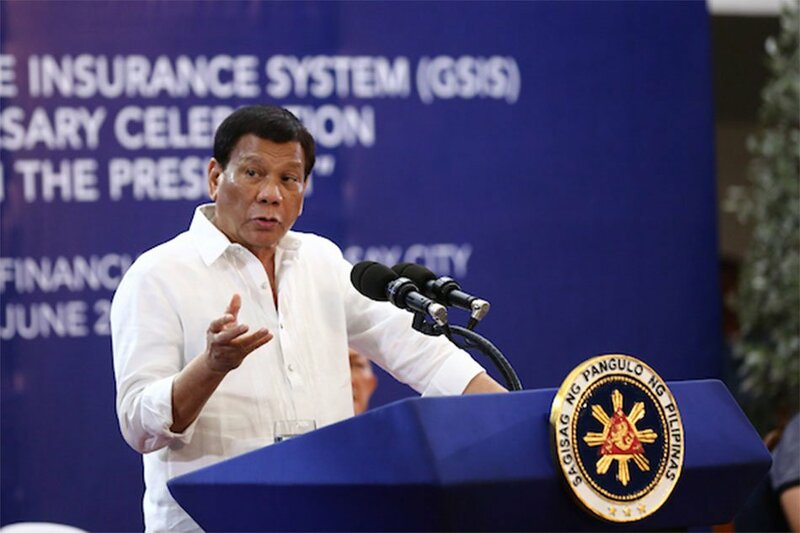 Do not take God’s name in vain because pag-resbak ko, makasali ko na ‘yung Panginoong Diyos (because when I retaliate, I’ll drag God too),” the President said. “There is really a clear cut between religion and governance. You cannot use God to criticize me,” he added. The President insisted that he has "deep and abiding faith in God” and that his concept of the Universal Being is based on his "values" and the "lessons" he personally acquired in life. He also challenged Catholics to prove God’s existence. "But if there is somebody of the so many billions, maybe if he can go there in heaven, talk to God, and take a selfie with Him, come back here, the priest can tell 'There is God. 'I will step down tomorrow. No question," the defiant Duterte said.